We make available the best quality Alpha Blue Pigments to the length and breadth of the country and abroad. 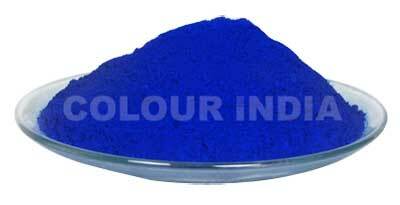 We are reckoned among the premier Manufacturers, Exporters, and Suppliers of Alpha Blue Pigments from Gujarat, India. We are an ISO 9001:2000 certified company that abides by international standards all along the formulation and processing of the Alpha Blue Pigments. Buy them at best prices from us!